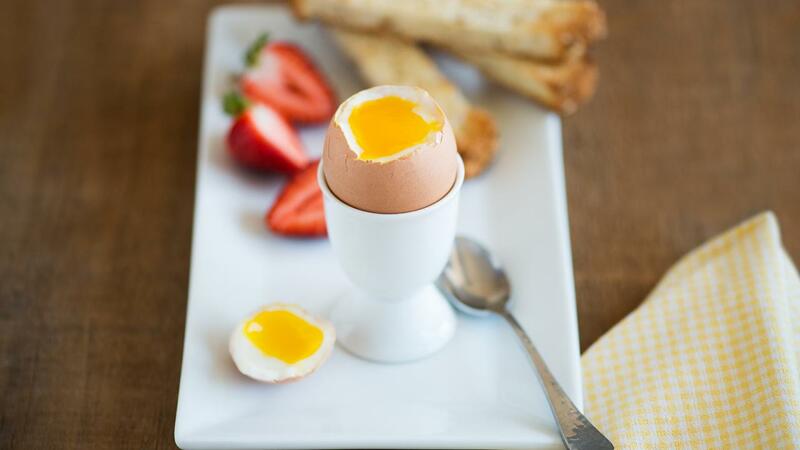 Soft boiled eggs bring back memories of breakfast in bed and the fun of dipping sliced toast or "soldiers" into a golden well of egg yolk. This method is guaranteed quick and foolproof! Place cold eggs in saucepan. Cover with at least 1 inch (2.5 cm) cold water over top of eggs. Cover saucepan with lid and bring water to boil over high heat. Immediately remove pan from heat to stop boiling. With lid on saucepan, let eggs stand in water for 3 to 4 minutes (large eggs). Remove eggs and rinse under cold water. Cut off larger end with sharp knife. Place eggs in eggcups. Season with salt and pepper, if desired, and eat with small spoon. 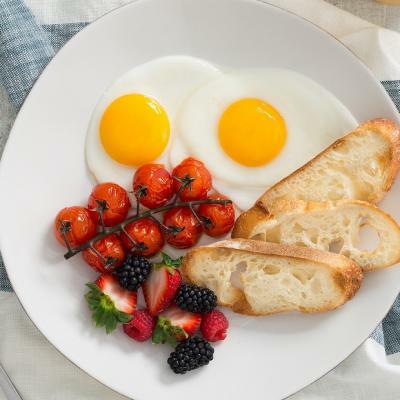 For these serving suggestions, eggs should be cooked for at least 4 minutes, cooled slightly, then peeled. 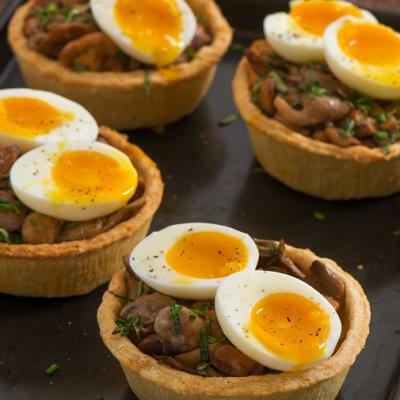 Spread split and toasted bagel with cream cheese and top with slices of soft boiled eggs. Top toasted waffle with fork-mashed soft boiled eggs and drizzle with maple syrup. 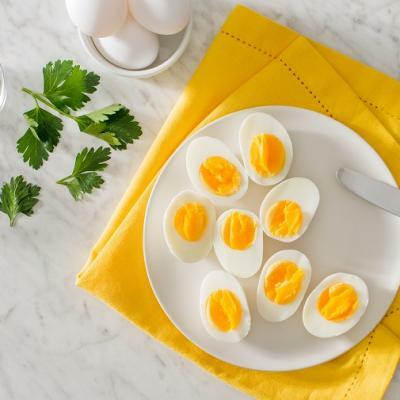 Place slices of soft boiled eggs onto warm flour tortilla. Garnish with shredded cheese, roll up and serve. If cooking more than two eggs, the eggs should fit in the saucepan in a single layer. Eggs cooked in the shell are often referred to as "boiled", but they should not be boiled. Cooking technique and accurate timing are the secrets to perfect soft boiled eggs. Boiling the eggs might cause the shell to crack, or overcook the egg, making it tough, rubbery and dry.